I’ll freely admit it – I’m a sucker for mason jars. You can use them for so many fun and unique purposes (and jars, turned blue with age are my favorites!). Lauren Elise Donaldson has a book out called Mason Jar Crafts that features an array of interesting ideas for using mason jars. Everything from gifts and decor to storage ideas and lighting are included in the book. 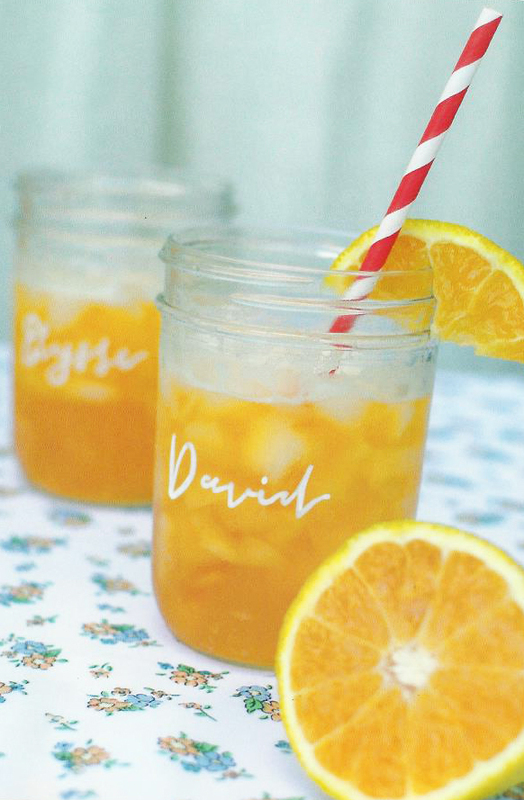 Not only does she give you great ideas (personalized drink glasses for a party – love this idea! ), she also provides step by step directions for completing the project. 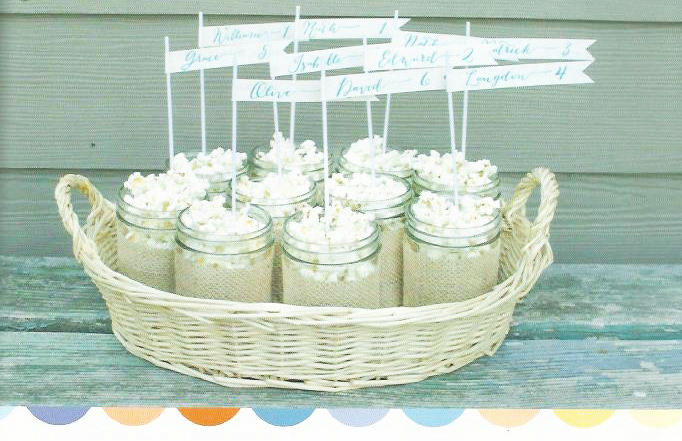 Here’s another fun party idea. I can picture these at a tailgate party or an autumn gathering. 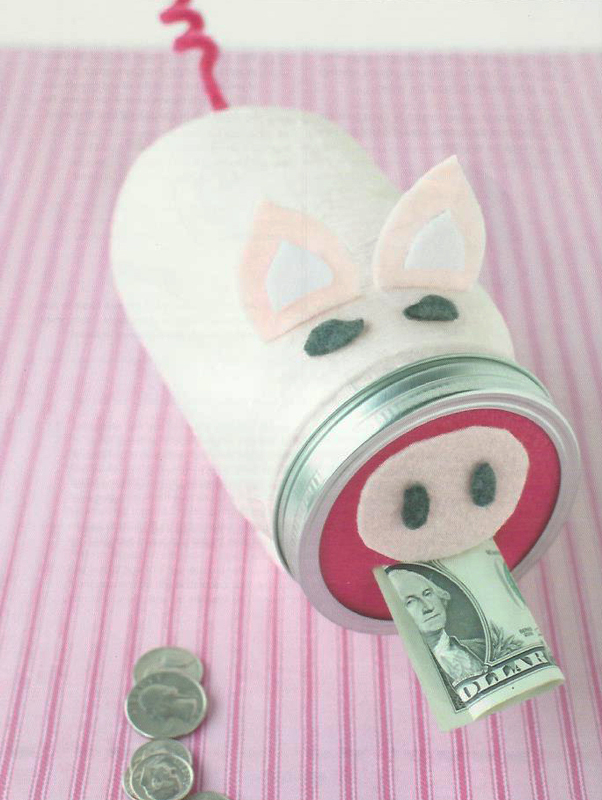 This piggy bank is cute and a project simple enough to do with your child. You have the opportunity to teach your young one a craft, but also some “dollars and sense” about money. The holiday section, in particular, tickled my fancy. 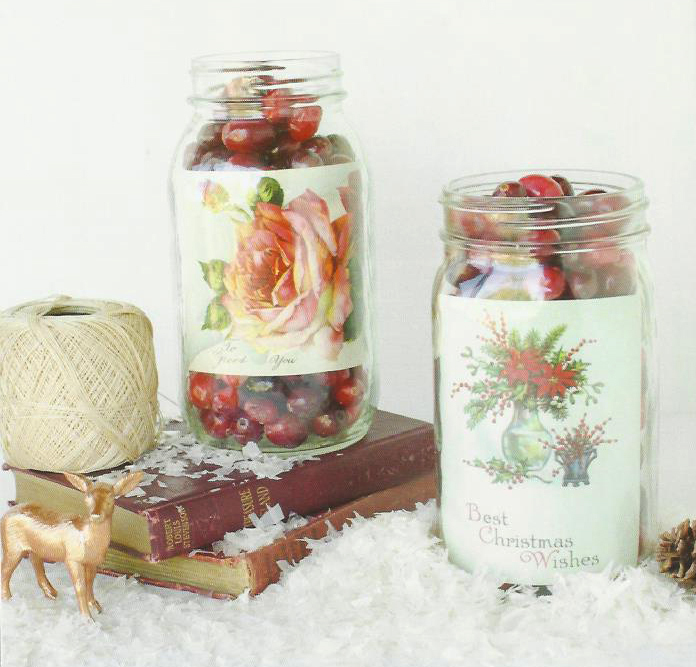 Love, love, love these jars with cranberries and vintage art. So festive! The book, available through Ulysses Press retails for $14.95 and can also be found on Amazon. She Who Needs to Make Something with a Mason Jar!